Written on April 6, 2010 . Posted in Announcements + Updates, Updates from & for Faculty. 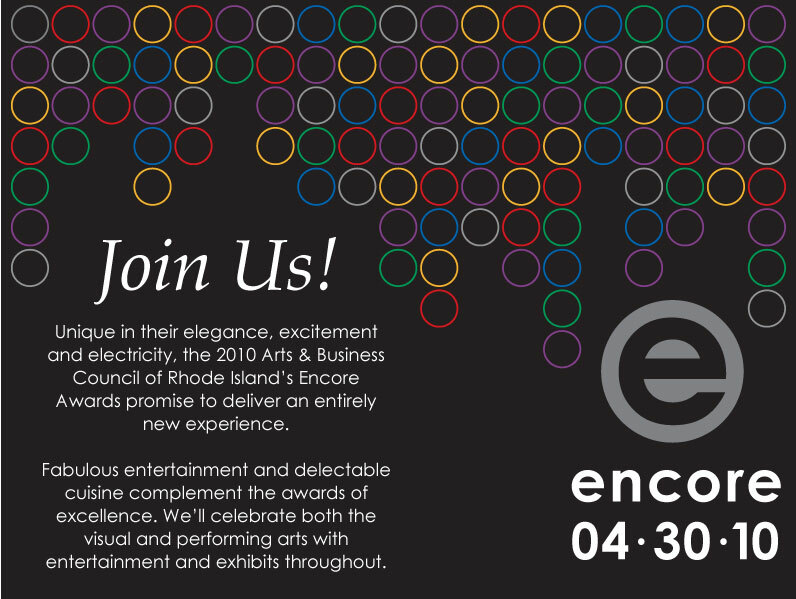 Jonathan Bonner will be honored at the 2010 Arts and Business Council of Rhode Island’s Encore Awards on April 30th, 2010. He will be receiving the Individual Achievement Award for Visual Arts. The Encore Awards help to underwrite the programs and services provided by the Arts & Business Council of RI to over 60 arts & cultural organizations and artists across the state. I’d like to support the Arts & Business Council of RI.